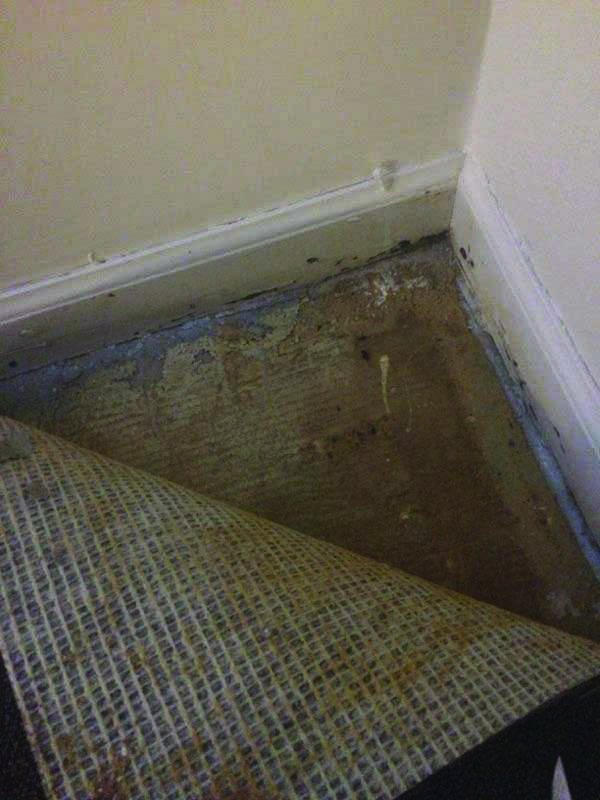 When senior Rebecca Castagna moved into Whitney Village on Aug. 16, the last thing she expected to find was mold. Whitney Village is an off-campus housing option for seniors. Located on Whitney Avenue, it is comprised of eight buildings with a total of 50 air-conditioned apartments. Thinking that the smell may have been the result of the room’s vacancy during the summer, Castagna and her parents began moving in her belongings. During this process they discovered the room’s dehumidifier and stovetop were broken. Over the next 12 hours, Castagna discovered large spots of black mold in a bathroom drawer and under the carpet. 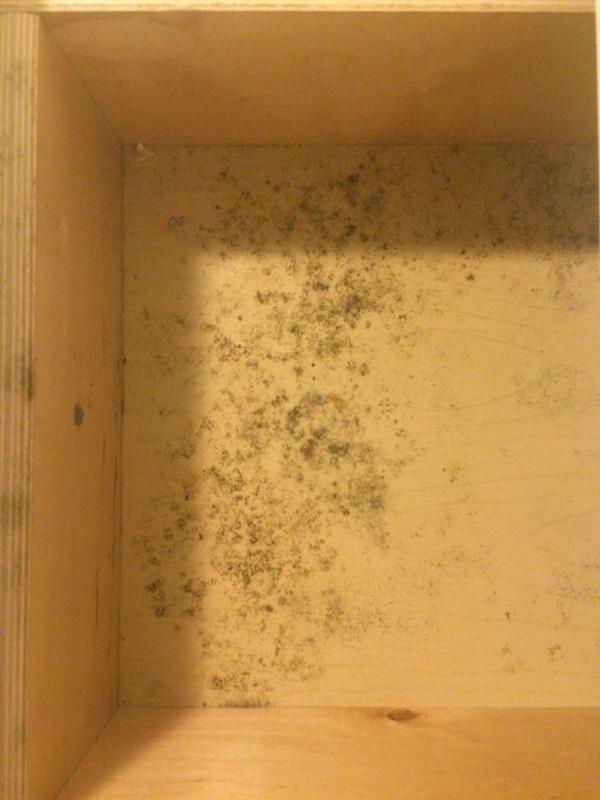 She texted pictures of the growth to her roommate’s mother, who showed them to a professional cleaner to confirm that it was mold. Living in a mold-infested area can cause a variety of negative health effects, including nasal and sinus congestion, headache, respiratory problems such as wheezing and irritation of the eyes, throat and skin, according to the New York State Department of Health. These effects are intensified for people with asthma such as Castagna. Castagna slept in the room for one night before moving out. But her story is one of many; several seniors decided to move out of Whitney Village this year after finding unsatisfactory living conditions. Senior Tanner Harding originally planned to live with Castagna and another senior, but their roommate trio was split up once they learned of the mold growth. The cost of living in Whitney Village is $7,500 a semester. Each apartment contains one, two or three bedrooms in addition to a living room, kitchen and bathroom. Residents do not receive a meal plan, but have access to wireless Internet, cable television and laundry facilities. Associate Vice President for Facilities Operations Keith Woodward said there were two spaces in Whitney Village with “low levels of mold” before students came back to campus. One was in a bathroom drawer, caused by a leaking sink. The other was on some furniture, caused by a dehumidifier and an air conditioner that shut off. These areas were cleaned, he said. Senior Brynn Kelly was scheduled to move in on Aug. 21, but moved out in less than an hour after smelling mold and discovering a missing shower head, crusted substances on the bathtub, outdated appliances and a closet that appeared to be patched up with random pieces of wood. Like Castagna, Kelly was shocked that university officials thought that Whitney Village would provide adequate housing for seniors. Although students who moved out received a refund for their $500 room deposit, some were unhappy with how their complaints were handled. In addition, more seniors were placed into the basement rooms after Kelly and Castagna moved out. 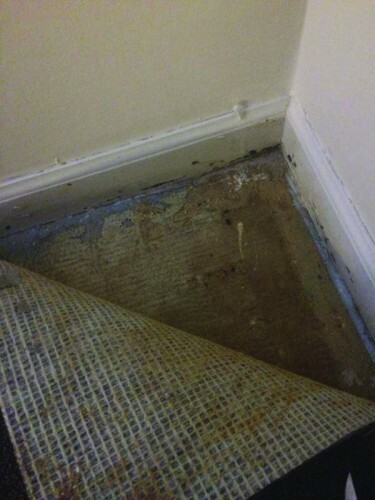 “Although Melissa [Karipidis, the associate director of residential life] relayed that the people who inspected the apartment conceded that it had not been appropriately cleaned, to date there has been no follow-up from Residential Life or the vice president of facilities regarding our concerns and experience or any comment with respect to the inconvenience,” Castagna’s mother said in an email. Other students who were assigned to live in basement rooms, such as senior Daniel Menard, found disturbing living conditions but decided not to move out. Menard discovered a missing kitchen cabinet door, a dysfunctional humidifier and spots of white mold on the living room couch. He said Facilities workers informed him that the university had “ran out” of cabinet door replacements, and the mold was due to a “humidity problem” that occurred over the summer. He also is concerned about the storm cellars located in each building. The cellars do not contain drains, and only a wooden door separates the basement rooms from the outdoors. In Menard’s room, there is a gap between the door and the ground. He has covered the space with towels but worries about what will happen when the weather gets colder. Even seniors who are not living in the basement have found problems such as chipped paint, broken or missing doors, hooks falling off of the walls and broken stovetops. Senior James Anderson said he was “pumped” to live in Whitney Village, but now worries that he is breathing in mold and warns other seniors to reconsider their residential options. CORRECTION: This article was updated at 1:45 p.m. on Wednesday, Sept. 23 to reflect that Castagna’s father, not mother called Residential Life. The article also originally reported that Castagna stayed in the Whitney Village room for 12 hours, but she spent one day there.